Eleven-year-old Jamie finds himself uprooted to a new home – a shabby flat on a deprived, seemingly deserted estate – and a new school, where he is far from settled and frequently catches the attention of bullies. But Jamie understands the reasons for his dislocated lifestyle. His father, Charlie (Robert Carlyle – Trainspotting), whom he idolises and imitates, is involved in undercover activities that demand the continual shifting of identity and location; now, the explosive but kind-hearted Charlie is on his final mission, and the flat is a temporary refuge for father and son as they await the fulfilment of their assignment and a new life in America. Jamie means the world to Charlie. But as Charlie’s behaviour becomes increasingly paranoid and unpredictable, and the very fabric of their bizarre existence begins to disintegrate around them, the rapidly maturing Jamie comes to realise that the world his father inhabits is very different to the one that has been flourishing in his excited imagination. 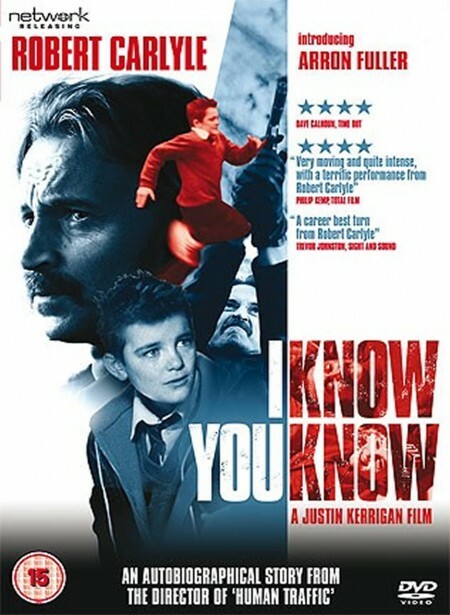 I Know You Know is not only the story of a retreat from painful realities; it is a film about love and loss. This film is available for non-theatrical bookings. If you run a film society and you wish to organise a screening of this film, please contact info@bffs.org.uk, who will be happy to discuss this with you further.